Second sequel to the Hollywood remake of the Japanese horror sensation. Japan's J-horror explosion at the turn of the century - and to a lesser degree, its Korean cousin, K-horror - was the last world cinema movement embraced to any notable extent by English speaking audiences. Heavily inspired by the very British ghost stories of MR James, movies like The Ring, The Grudge and Dark Water tapped into universal fears. By the time Hollywood decided to cash in on this enthusiasm with a series of early '00s remakes, the tropes of the genre had become cliches, and it seemed every mainstream horror movie had lank-haired brunettes crawling out of any available crevice. The movement itself may have died out well over a decade ago, but its influence can still be felt in American horror cinema, for better (It Follows) or worse (James Wan's ever-expanding stable). And so it is we have a belated third installment in Hollywood's take on Hideo Nakata's breakout 1998 chiller, though I suspect the reason behind this production has more to do with holding onto rights than tapping into any lingering cultural zeitgeist. IMDB lists the budget for Rings at a whopping $33 million, but it seems like only $33 of it actually made it to the screen. This is the cheapest looking mainstream horror movie I've seen for years, boasting cinematography that resembles holiday polaroids taken by your drunk Dad. The film shoots its load, and its effects budget early, with a Final Destination inspired prologue on an airliner. It's a promising setup, with one of the passengers about to succumb to the franchise's curse - we know this because he literally tells us the premise of the series, in case we might have forgotten - but just as a hundred Samaras are about to crawl out of the in-flight entertainment screens, the movie cuts to black before introducing us to the dull plotline that makes up the remainder of the film. What follows is an uninspired retread of the previous films, with a young girl attempting to save her boyfriend, who watched the cursed video, by viewing it herself and thus taking on the burden of figuring out how to save her own skin before her seven days run out. The original set of Ring films, both Japanese and American, consisted of rather mediocre mystery plots peppered with inventive set-pieces, but save for a heavily marketed scene in which Samara crawls out from under an upended flatscreen TV, such visual invention is sorely missed here. The money shots are all in the first 20 minutes, with a tedious detection plot taking over until a final grossout moment that we've seen in at least two other movies released in the last six months. 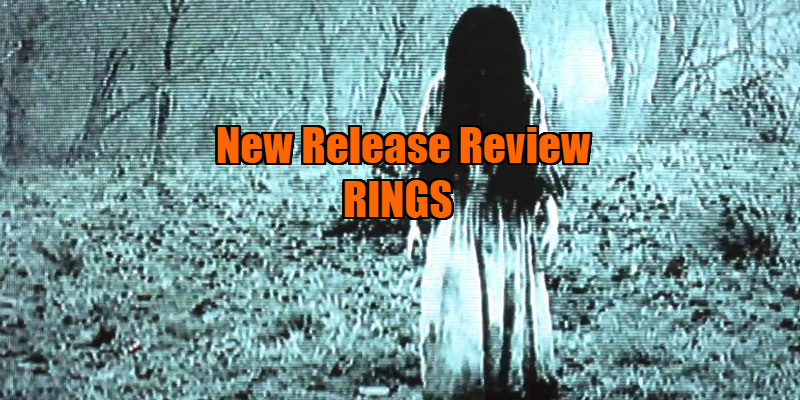 Rings contains a few reminders that in the right hands, and made for the right reasons, this is a franchise that could still offer something worthwhile for horror fans. But it's made by the wrong hands, and for the wrong reasons. First you watch it, then you die. Of boredom! 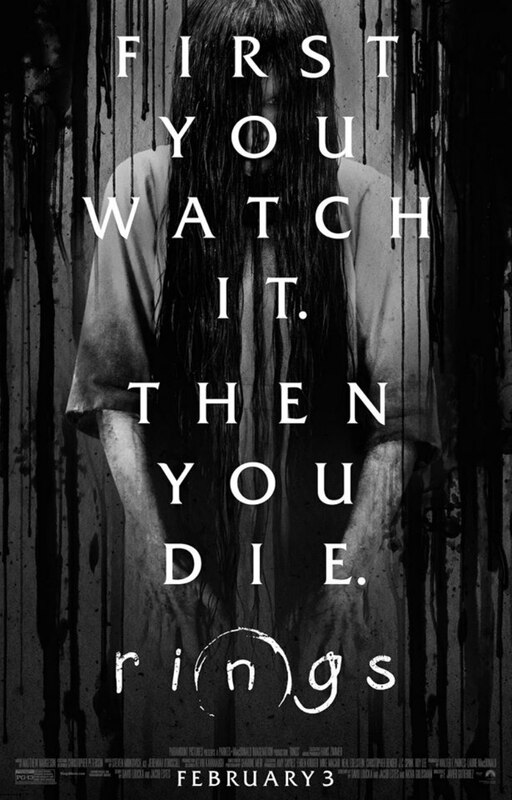 Rings is in UK/ROI cinemas February 3rd.